CONOR McGregor has pleaded not guilty to charges relating to ‘strong-arm robbery and criminal mischief’. It follows the Dubliner’s arrest in Miami Beach, Florida last month where he allegedly slapped a phone out of a fan’s hand and stomped on it as he tried to take a picture. He was not present in Miami-Dade County Court for today’s arraignment hearing, but his lawyers entered not guilty pleas on his behalf. Sentences for the charge depend on criminal history, especially history of violence, the value of what was stolen and whether the victim was injured. McGregor avoided a criminal record last July after he pleaded guilty to disorderly conduct at a UFC event in New York. Several people were hurt when he hurled a trolley at a bus, smashing a window, as it left the Barclays Centre in Brooklyn in April 2018. McGregor avoided going to jail after striking a deal with prosecutors which saw him do community service. He also had to take anger management courses and pledged to keep the peace for a year. His lawyer has insisted that he would not be going to prison over the latest incident. Mr Rabin, of Rabin and Lopez PA, issued a statement last month saying the Crumlin man was giving his full co-operation. 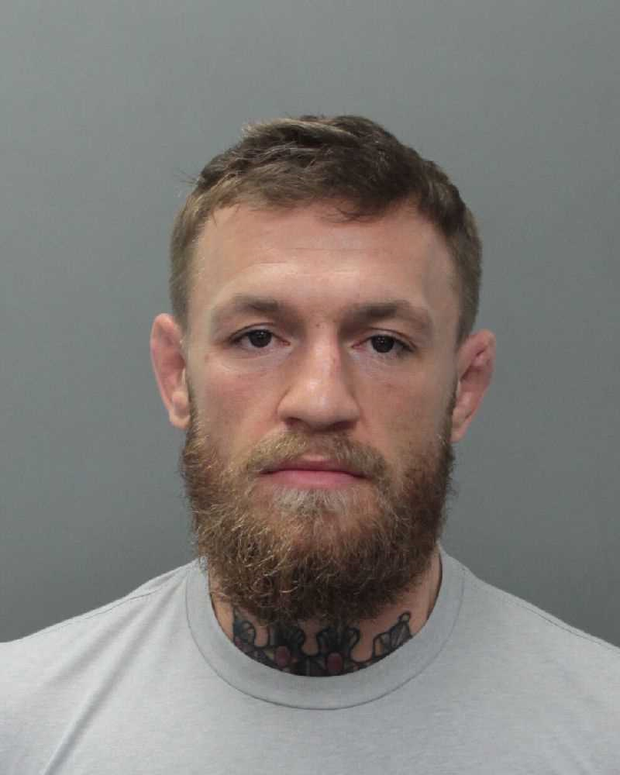 “Last evening Conor McGregor was involved in a minor altercation over a cell phone that resulted in a call to law enforcement,” Mr Rabin said in a statement issued to MMA Fighting via spokesperson Karen Kessler.